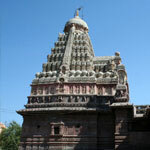 Mumbai is the financial commercial and entertainment capital of India. Mumbai is a city with strong historical links, wonderful British architecture, museums, beaches, places of worship, and above all, a true galaxy of stars where Bollywood reigns supreme. 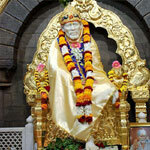 Nirvana India Enterprise brings to you aTour Shirdi - Jyotirlinga 11 Night 12 Days is a specialised tour covering Maharashtra 3 Jyotirlinga & Shirdi Shanishingnapur , Two Jyotirlinga in Madhya Pradesh - Omkareshwar Jyotirlinga & Mashakaleshwar Jyotirlinga and finally moving to Gujarat and vsiit To Dwarka - Famous for Dwarkadesh Temple and then visit Nageshwar Jyotirlinga t emple and then finally visit Somnath Temple . 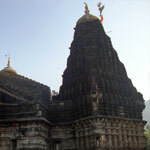 www.blessingsonthenet.com will assist you in Experiencing Bliss of visiting Jyotirlinga Temple the Holiest Shrines of Lord Shiva .